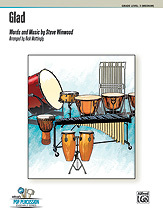 Features four classics arranged for orchestra bells, vibraphone, and marimba. These selections work splendidly as individual pieces or in a four-movement capacity, reflecting popular forms commonly used in symphonic works of the 18th and 19th centuries. 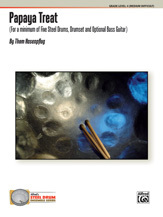 In addition to providing inside access to valuable repertoire from one of the great master composers, this "mini-symphony" reveals the importance of key relationships, tempo relationships, and contrasting dynamics. 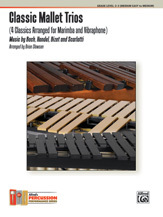 "Allegro con brio" (from the Fifth Symphony), "Adagio" (from the Emperor Concerto), and "Für Elise" and "Ode to Joy" (from the monumental Ninth Symphony) comprise this exciting collection, wonderfully suited for solo & ensemble applications and bound to thrill audiences in concert settings.